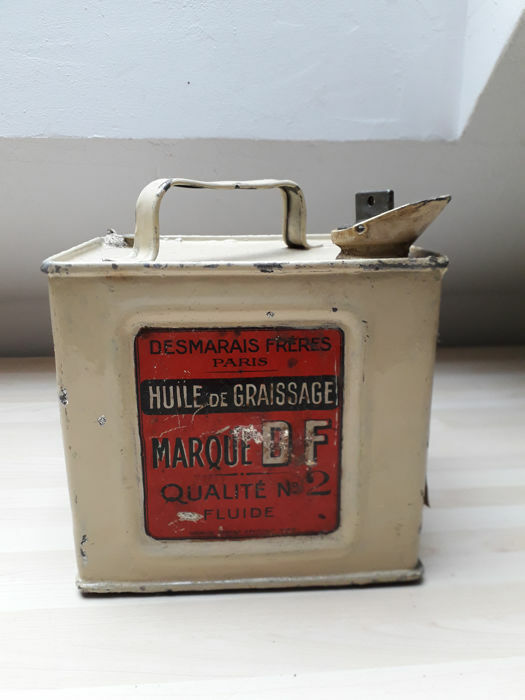 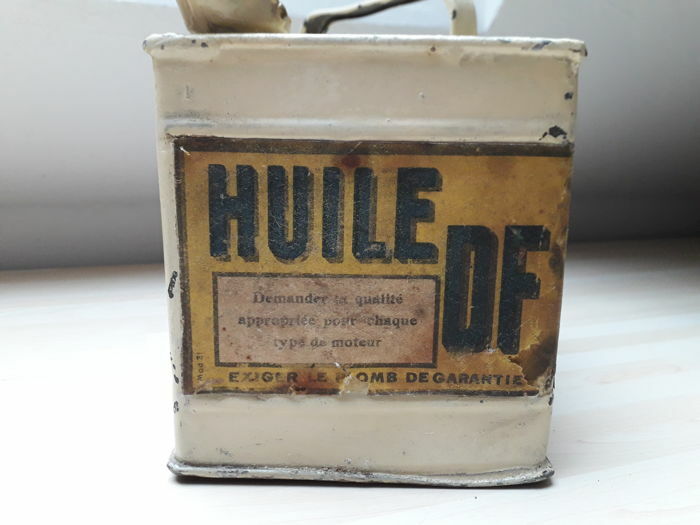 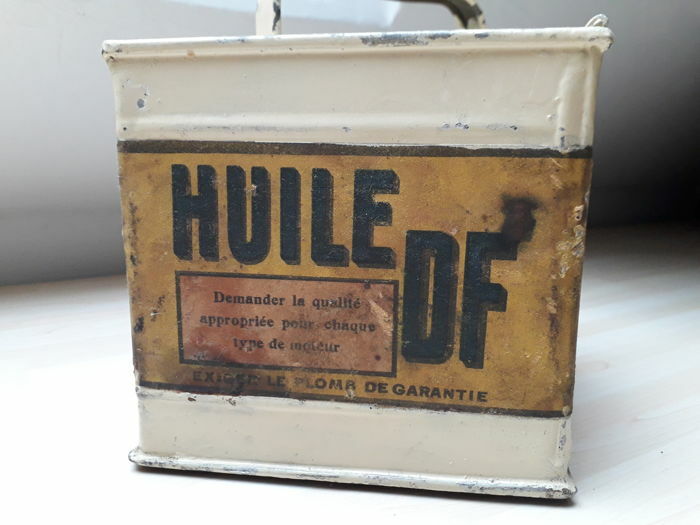 Rare and original old oil can branded DESMARAIS FRERES PARIS. 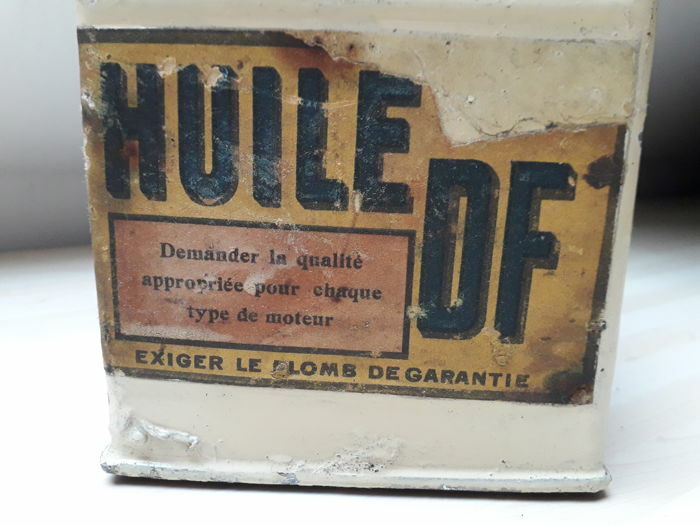 Paper label paper of the time. 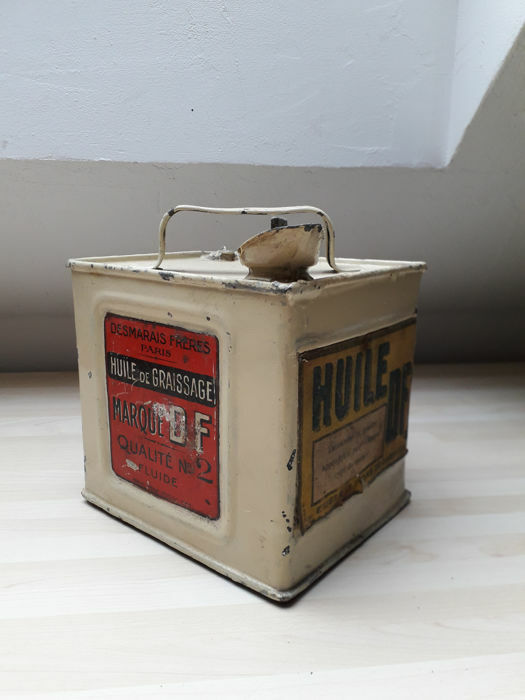 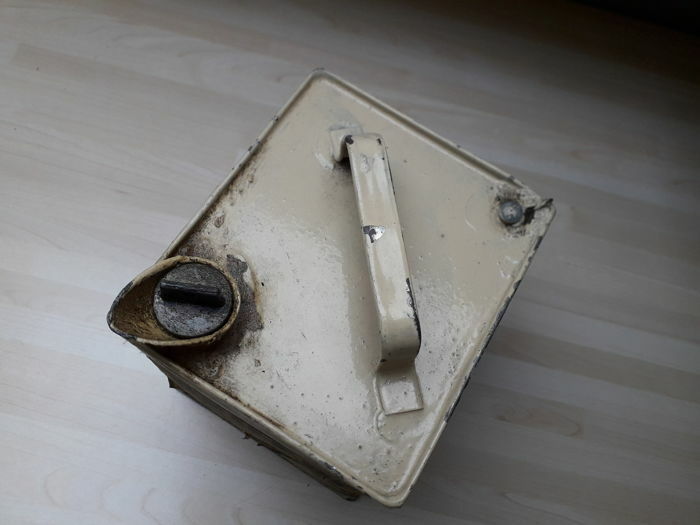 This is a genuine pre-war oil can with spout, with the warranty lead seal as well as its original stopper. 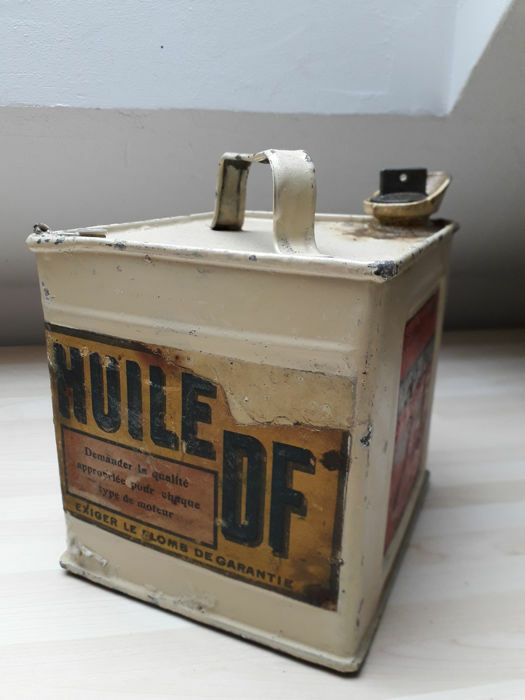 This can of lubricating oil is almost square. 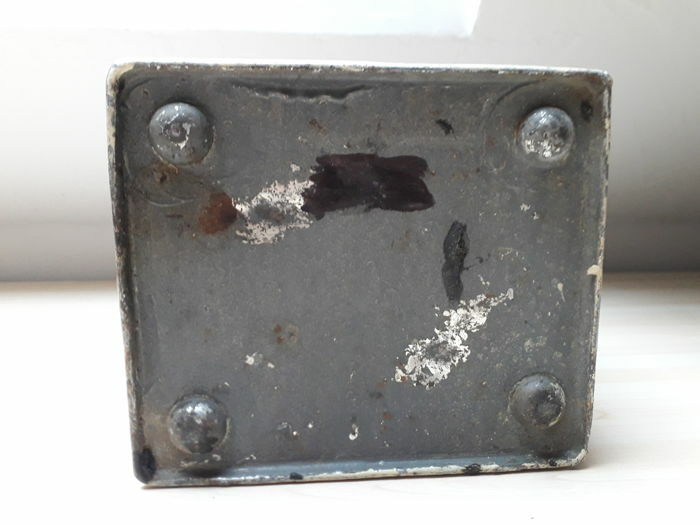 Size: 17 x 14.5 x 13 cm.